Part of "Group B" of the 100th class, which performed with Flower Troupe before receiving official troupe assignments in February 2015. 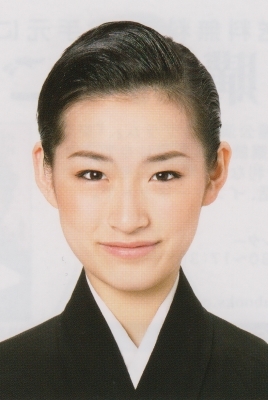 † She was absent 2016/02/18-22 during the Grand Theater run of The Wanderer Kenshin due to poor health. Created by lokai. Last Modification: Tuesday 05 of February, 2019 14:02:30 PST by steerpikeangel.